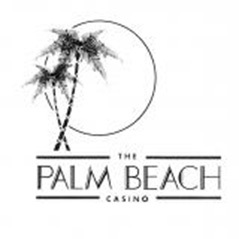 The Palm Beach Casino has been become a regular for London's tournament players with its monthly £1,000 Big Game event (the latest of which takes place tonight). The Mayfair venue will be expanding its tournament offering in the form of the September Series of Poker which will feature a trio of events starting on Monday 26th September. The action gets under way with a £3,000+£200 no limit hold'em event on Monday followed by a £1,000+£80 PLO event starting on the Tuesday. The top attraction is the two day, £5,000+£300 High Roller event which starts on Wednesday 28th. £500+£30 satellites will take place on the Sunday prior to the festival. £500+30 Satellite to High Roller Event 60 Player Cap. £3,000+200 No Limit Hold'em - Six Max 36 Player Cap. 60 min levels - 20,000 chips. £1,000+80 Pot Limit Omaha 48 Player Cap. 40 min levels - 15,000 chips. £5,000+300 No Limit Hold'em - High Roller 60 Player Cap. 90 min levels - 30,000 chips.